Brown snowflakes--just like in NYC! In a large bowl, sift together flour, baking soda and spices. Set aside. In a stand mixer fitted with the paddle attachment, cream butter. Add sugar and beat until fluffy. Mix in eggs and molasses. Gradually add the flour mixture; combine on low speed. 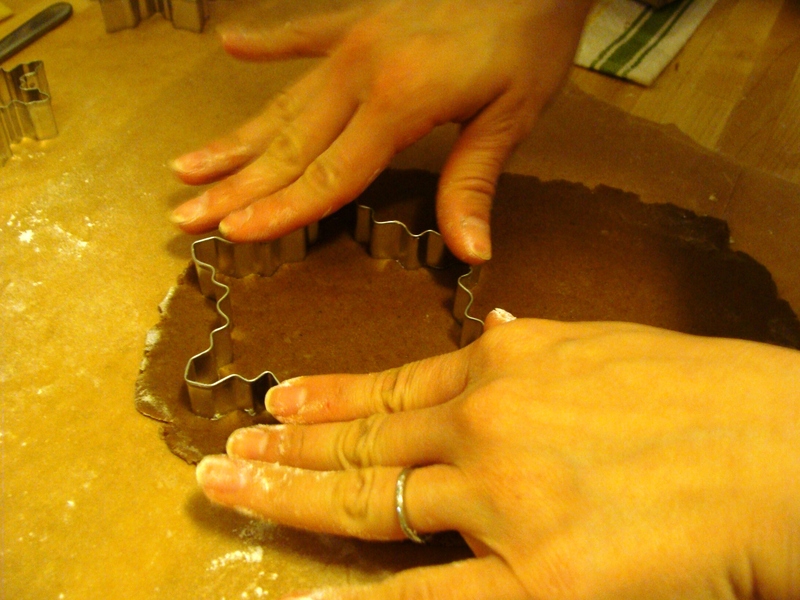 Divide dough into thirds, form discs, and wrap each in plastic. Chill one hour or overnight. Before rolling out, let sit at room temp 5-10 minutes. Preheat oven to 350. On lightly floured parchment paper, roll a dough disc to 1/8″ thick. 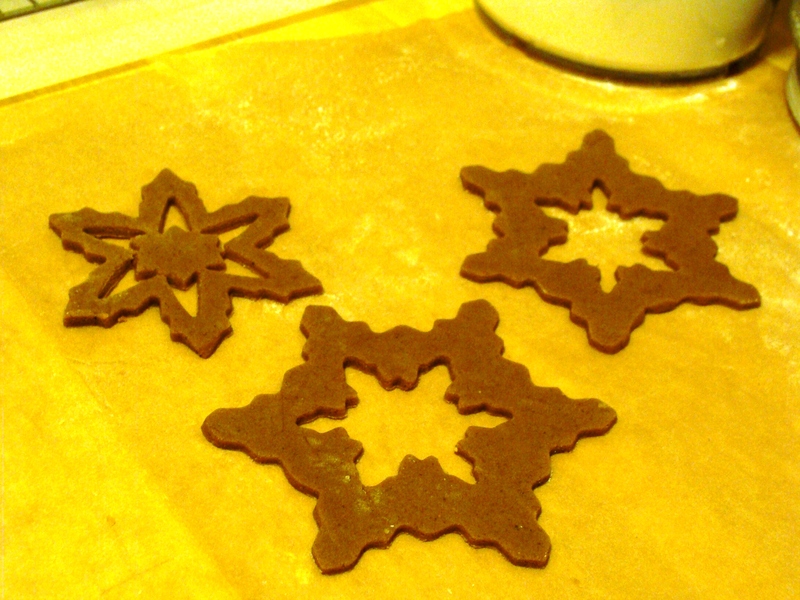 Cut out cookie shapes. 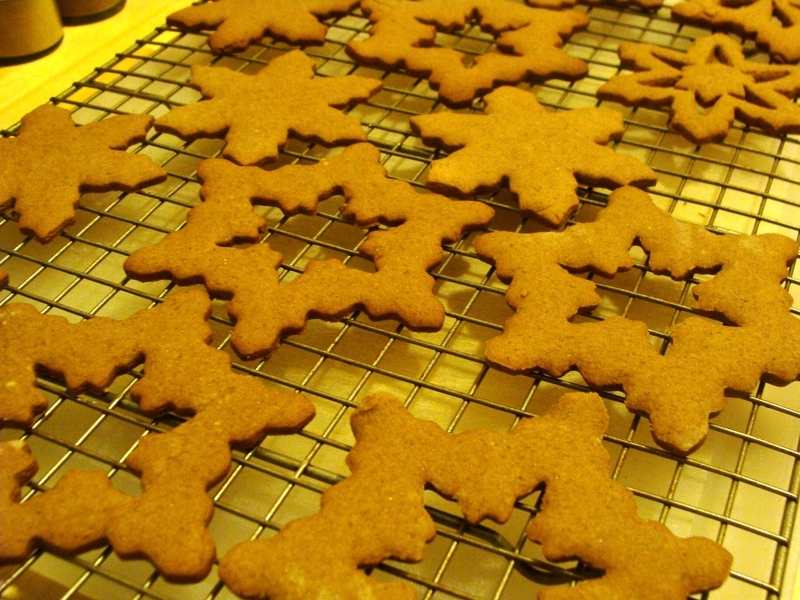 Decorate with raisins or candy pieces if desired (and you don’t plan to ice them). Transfer to baking sheets lined with parchment paper. Bake until just crisp, but not browned, 8-10 minutes. Let cool on pan a few minutes then transfer to a wire rack to cool. Mix the egg white and lemon juice with a third of the sugar. Heat in microwave until the mixture’s temperature is 160. Beat in the remaining sugar until stiff peaks form. If icing is runny, add more powdered sugar until you get the desired consistency. 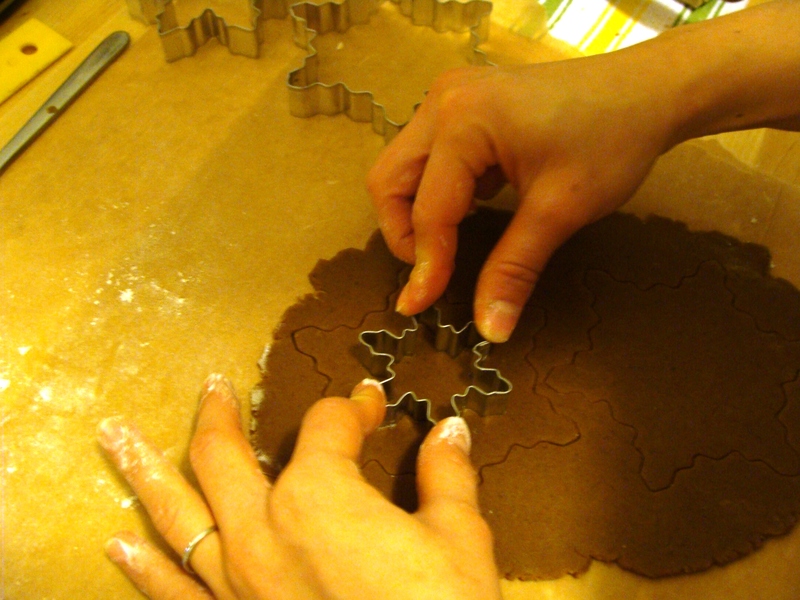 Fill a piping bag (or ziptop sandwich bag with tip cut off) and use to decorate shapes. Growing up in lovely land-locked Oklahoma, fish “previously frozen” was par for the course at the local grocery and ultimately what ended up on our dinner plates. Mom mostly avoided the fish sticks and opted for “nice Orange Roughy filets” (only recently did I discover this fish is incredibly unsustainable and we probably contributed a tiny bit to wiping out a species–they didn’t tell you ANYTHING in the 80’s).